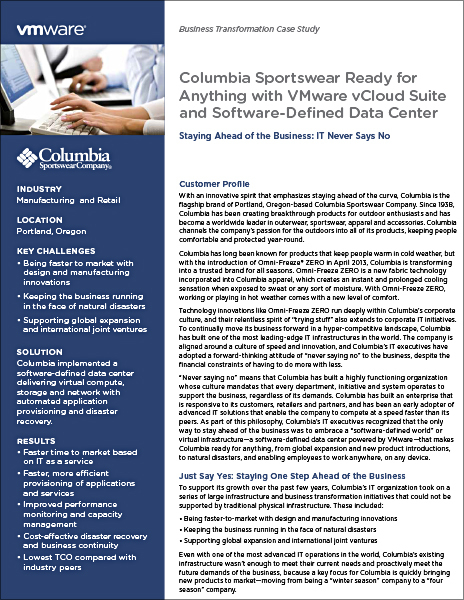 The bottom line for any company concerned about data security is that Shared Cloud is now inherently risky. Private Cloud protects you against risks related to Spectre and Meltdown by ensuring that you are not sharing a server with any other companies. Private Cloud = Exclusive Server. 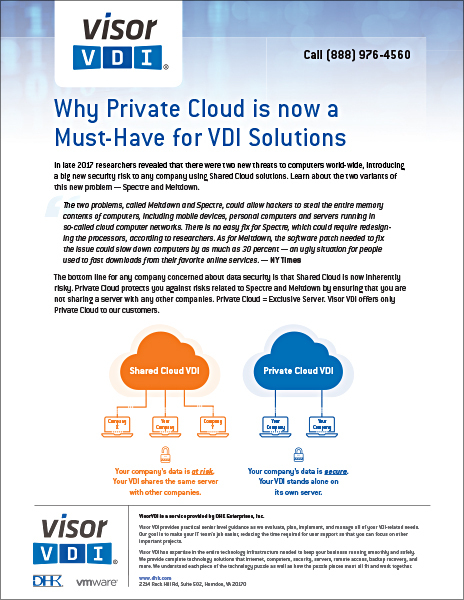 Visor VDI offers only Private Cloud to our customers. Please provide information below (or give us a call at 888-976-4560) and we will contact you to schedule a meeting. 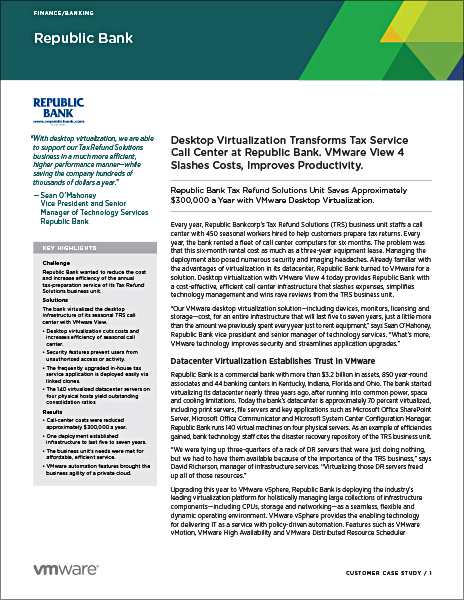 These VMware case studies provide great examples of the ways that VDI is helping companies gain efficiencies and cost savings while improving security and enhancing end user benefits. 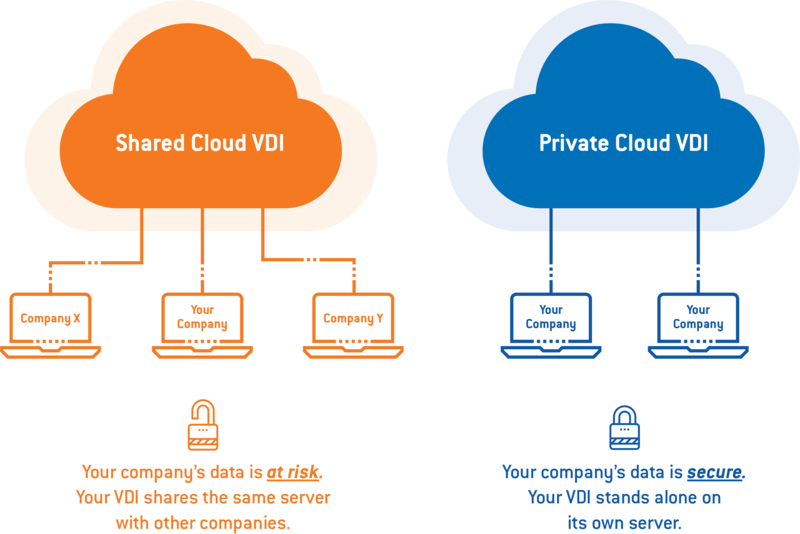 VisorVDI is a service provided by DHK Enterprises, Inc.
Visor VDI provides practical senior level guidance as we evaluate, plan, implement, and manage all of your VDI-related needs. Our goal is to make your IT team’s job easier, reducing the time required for user support so that you can focus on other important projects. 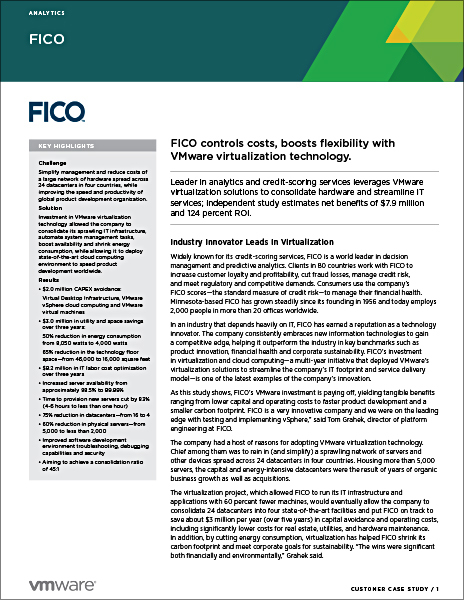 Visor VDI has expertise in the entire technology infrastructure needed to keep your business running smoothly and safely. We provide complete technology solutions that internet, computers, security, servers, remote access, backup recovery, and more. 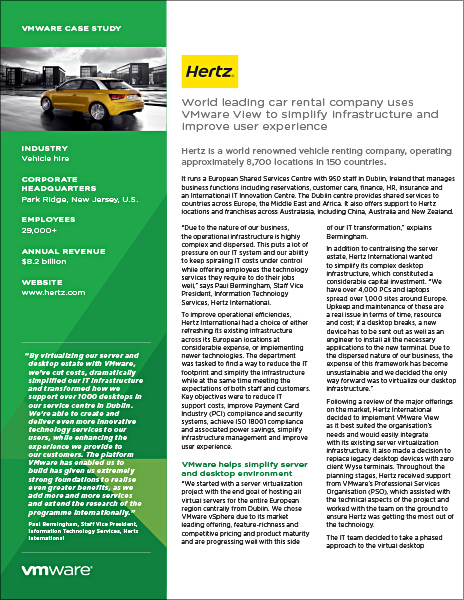 We understand each piece of the technology puzzle as well as how the puzzle pieces must all fit and work together.